This article is about the flourishing Muay Thai of Chiang Mai, in the north of Thailand, becoming the best female fight city in the country and very possibly in the entire world. No other city boasts such a complete native female Thai fight scene: it’s fed by side-bet (gambling) fights in the outlying provinces, stabilized by Sports Schools, hosted at a large number of local stadia (all of which allow women to fight in them) which hold fights every night of the week, and supported by the Thai Muay Siam media coverage. 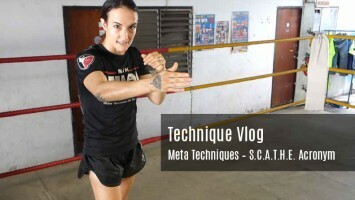 If you are a female Muay Thai fighter, this is where you want to fight. What is unique about Chiang Mai is not just that it is a favorite tourist destination and that it has established, solid gyms which train western female fighters, but also that western female fighters who do fight find themselves doing so right in the middle of a Thai vs Thai fight world, that in fact takes cultural priority over Thai vs Western match-ups. (As opposed to fight scenes which are primarily Thai vs. Western tourist business.) This, in my opinion, is the best female fighting in Thailand. In fact as a high-level fighter it is so good, living in Pattaya, I drive 10 hours north at least once a month, just to be a part of it. 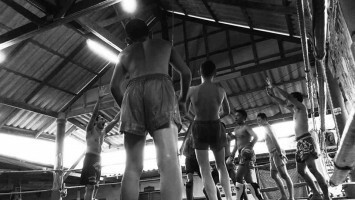 The article in short: Nowhere else in the world has the number of females fighting at such high rates, under such quality of art and instruction, from early youth, as in the festival and stadium side-bet fighting circuits in Thailand, and nowhere else in Thailand do western fighters come in contact with the best products of those circuits more than they do in Chiang Mai. 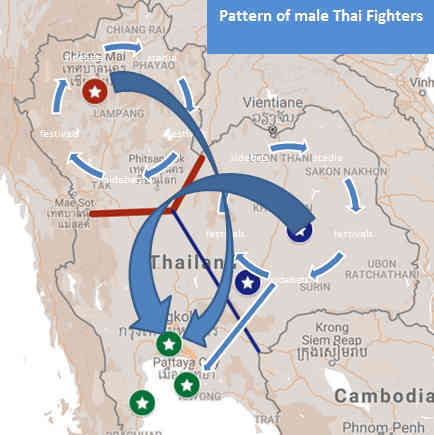 a map of my fights – all my 160 fights have been in Central, North-Eastern and Northern Thailand. There are two strong caveats to this article. 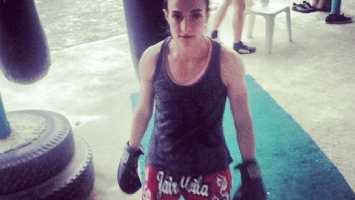 Though I have fought more than any westerner in Thailand, and all over the country, I have very no direct knowledge of Phuket (and other islands in the South), which are also reportedly a solid scene for western female fighters. 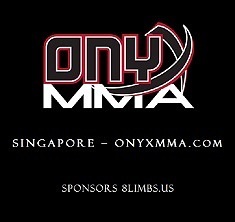 Outside of its very mixed reputation for dubious fights as well as unquestionable top match-ups on premium cards, all I have to go on are stories I’ve heard directly from other fighters and the general fact that its Muay Thai scene is heavily western-oriented. I can only comment from afar. My personal experience with Muay Thai tourism (gyms and promotions that are primarily geared towards western clients) would suggest limitations. 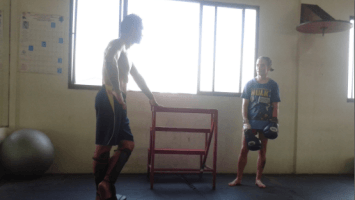 This isn’t to say that you can’t get incredible, challenging Westerner vs Thai matchups in Phuket, with the right gym and depending on your size, you certainly can. But there seems something quite special that is happening in Chiang Mai in the last few years, a deepening of the Thai vs Thai female fight scene, that from all evidence that I can find Phuket and other locations simply do not have to this degree. For these reasons my comparisons are going to focus on Central Thailand and above, and leave the Islands to their own world. If there are any female fighters in Phuket who would like to write about the Thai female fight scene there I’d be glad to consider publishing a guest post. The second caveat is this: Western women are just on average larger-bodied than their Thai counterparts. This means that when facing Thais western women will generally find themselves with a weight advantage – thought this is not the case for me as I am small. If you are an experienced larger-bodied female fighter (above 55 kg) it makes perfect sense that your best matchups might be against other western fighters, and those opponents are likely more plentiful down in the Islands. I’ve never seen a western vs western female fight in Chiang Mai despite fighting over 80 fights in the city. Above shows three basic areas of female Muay Thai fighting, and the cities that have featured it in an established way. There are a few other permanent stadia locations that I leave out, mostly because westerners very seldom fight in these arenas. The first thing to point out is that Chiang Mai has four permanent stadia at the the time of this writing: Chiang Mai Boxing Stadium, Thepae Stadium, Loh Kroh Ring and Kawilla Stadium (this is a military stadium that used to forbid women to fight in it, but since it was rebuilt women are now allowed to fight there – awesome). 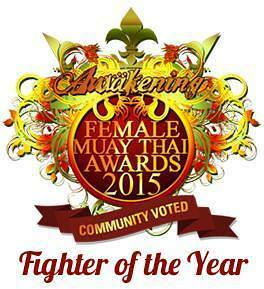 Hua Hin has one, Bangkok only one (all year round), and Pattaya has (for female fighters) none on a regular basis. 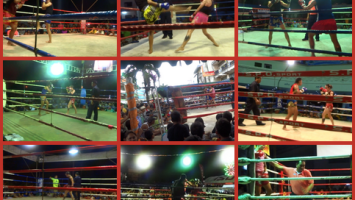 For latitudes at Hua Hin and above, Chiang Mai is the epicenter of stadium female fighting. Many assume that the best Muay Thai fighting (and instruction) is to be found in Bangkok. This is because for male Thai fighters all roads flow towards the National Stadia of that city. Lumpinee, Rajadamnern, Channel 7 and Omnoi form a bedrock of fighting excellence, and the best products of Isaan, Northern and Southern fight scenes – those thousands of side-bet challenges and festival fights – flock to the capitol in hopes of becoming a Muay Thai star (or just catch a few sizeable purses). With the rise of MAX Muay Thai in Pattaya there is also a flow of secondary male Thai talent (not ready for, or by-passed by Bangkok promotions) in that city (where I live). 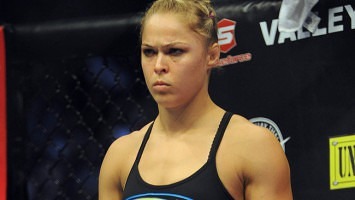 This pattern of male fighter flow just isn’t the case for female fighters. There is no Bangkok elite-talent promotional fight scene for women. In fact the only year round promotion that regularly accepts female fighters at this time, Asiatique, which does not even fight full 5 round fights, only has two shortened bouts per night, only one of which might feature a female bout, and is essentially a show for visiting tourists. The fights appear after that night’s Muay Thai theatrical floorshow. (I’ve been told that 3 round fights do not fall under Thailand’s sanctioning Muay Thai body, the Sports Authority of Thailand.) Yes, top female Thai fighters will come to Bangkok for prestigious events like those that surround the King’s or Queen’s Birthdays, but in many ways Thailand is a doughnut in terms of female fighting: unlike for men, the center is empty for women. In comparison to Bangkok, female fighting in Pattaya is even worse. In my Thai hometown of Pattaya I almost never fight. There once was a nice, but small female fight scene in Pattaya, served by two stadia at either end of the city, but MAX Muay Thai has pretty much driven female fighting out of town by effectively squashing promotions at the other stadia and barring all women from fighting on their own cards – I was the last western woman to fight on a MAX show two years ago, and my opponent and I are the only women to ever fight in the Max Stadium. With its generous fight pay and deals with tour groups to sell tickets, Max effectively has driven out all other Pattaya fighting. The only place where women can fight in the last year is at the bar near Walking Street, which is quite mixed in quality and authenticity. Hua Hin I mention in passing. I’ve fought there several times. 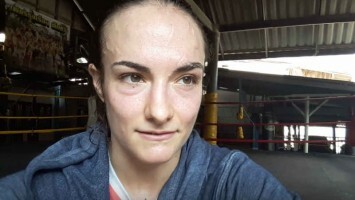 Their one perennial stadium Grand Boxing Stadium does feature female fighting in a positive way, and Thai female Bangkok talent will sometimes come down to Hua Hin to fight. But the fight pay is quite minimal for Thais, so the draw is not strong. The stadium seems to adequately suit the needs of the western oriented Hua Hin gyms, but is not an epicenter. I wrote about the general career arc of young Thai female fighters in this article: Judging Youth: Young, Great Male and Female Thai Fighters. 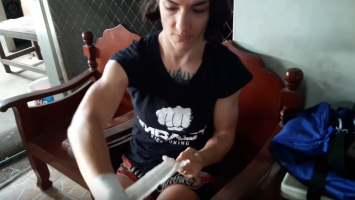 I discuss that while talented young men have an entire stadium career to ascend to, top female Thai fighters are perhaps like star Junior High students who have no higher education to enter into. Young girls will enter the local side-bet fight scene from ages 8-12 and, if successful, can rack up very high fight numbers, sharpening their skills in increasingly challenging fights. By the time they are peaking at 13 or 14 they have become nationally known by reputation, and as may be the case, their fight opportunities may start to decrease. This is what happened with Phetjee Jaa, who I trained with for a year when she was 12 and was widely thought of as the next Thai female superstar. She got her experience and reputation mainly by touring the outer provinces and earning an income for her family through gambling on those fights. 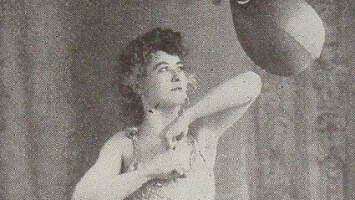 But once a young girl becomes very well-known, it can become a family’s attempt to cash in on their young star, demanding very high fight pay, or saving their fighter for one very large side-bet fight, or avoiding any unnecessary risks and direct challenges which might tarnish their dominant image. The truth is that while the best boys at 14 are suddenly finding themselves in a much bigger pond, with some very big fish indeed – in many cases facing grown men – the best Thai female fighters may find themselves fighting (and training) less and less – big fish in a tiny, tiny pond. 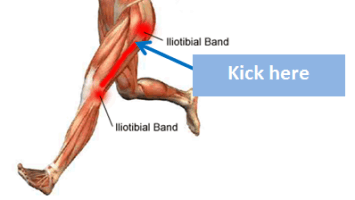 The fantastic arc they found themselves on, like Phetjee Jaa, can become stunted by this process. They might move through their mid-teens more selective and protected, whereas boys see themselves facing greater challenges and greater rewards. This is where Sport Schools come in, as far as I’ve been able to discover in a few conversations I’ve had; and by no means am I an expert on this, only relaying the picture I’ve been given. Sport Schools are ostensibly technical (vocational) schools, organized around sports. Many very good female fighters from the provinces may find themselves attending Sports Schools, along with lessor experienced female Thai fighters, basically “majoring” in Muay Thai, and fighting for their school, which often includes “amateur” tournaments between the schools across the nation – as well as continuing in the side-bet fight scene of their home gym. I’m told that they can enter Sports Schools around the age of 13 to about the age of 18. The aim of these fighters is to make the Thai National Team, as winning medals for your country can result not only in honor and pride, but also very lucrative rewards from the government. In an important sidenote: this is one reason why the possible inclusion of Muaythai in the Olympics could prove a substantial boost to the careers and talent of Thai female fighters especially. Muaythai Gold would funnel government funds and gym resources into developing the very best Thai female fighters possible, adding the kind of honor and income that male Thai fighters seek from fighting at the National Stadia in Bangkok. 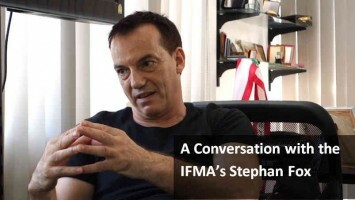 Talking to Nik Hjalmarsson of Santai Gym, a gym with a reputation for taking on top western female fighters 30 minutes outside of Chiang Mai in San Kamphaeng, he definitely thought that the strength of Sport Schools like that in Lampang is an important factor in establishing the female fight scene in the north. “I think it starts with the sportschool in Lampang which has many top fighters and had the last years. Another factor is Pettonpung and Por Puibunphuet, always easy to find decent opponents for the western fighters. As Nik mentions, there are not only Sport Schools, but there are very strong female-centric gyms in Chiang Mai, like Pettonpung Gym in Mae Rim, a gym I have written a lot about. The fighters in these gyms fight a lot, not only against westerners, but most frequently against other Thais. This is the important thing. Chiang Mai is a hub – really the hub of female fighting, for Thais and by Thais. Western fighting in Chiang Mai sits on top of a deeper layer of Thai vs Thai female competition. 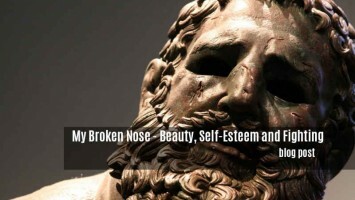 This is what grants it a degree of depth and authenticity, I believe. 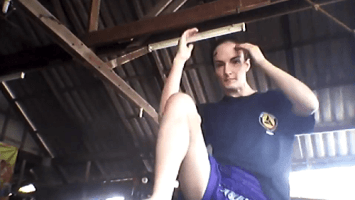 above, my walk through of Pettonpung Gym, all-female Thai gym. Its not uncommon for their fighters to fight more than once in a week – through which they develop their skills. 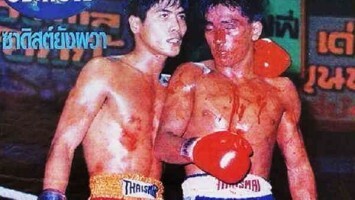 The older/larger/top Pettonpung fighters might face westerners also, but primarily this is a Thai vs Thai fight gym. Personally, I can see one of the big effects of this in the somewhat parallel developments of Phetjee Jaa (15) and Phetlilaa (13), two unusually advanced young fighters, both with the promise of being potentially the best female fighter in Thailand or possibly the world. While Phetjee Jaa has almost not fought at all in the last year, at age 14 (she turned 15 on New Year’s Eve), and therefore not developed through increased experience, training less than she had in past years, Phetlilaa (an equal phenom in the North) fights very frequently at age 13 (turning 14 in April 2017). Phetjee Jaa finds herself blessed with a big national reputation, unquestionable skills and instincts, but she is living in Pattaya where there is almost no female fight scene at all. Phetlilaa, on the other hand, is not only challenging the very best Thai female fighters in the North in a vibrant fight scene (she just won the Thapae belt at 53.5 kg and is soon to vie for the Northern Title), she also has begun fighting western fighters with variety; it’s very rare for a Thai female fighter this young to be fighting westerners in Chiang Mai at all – I can’t say I’ve seen it before – almost all are at least 15 and most around 16-19, but she has proven herself more than capable and is of a body size where this is a possibility for her. She’s something of a prodigy, I can testify that she is immensely strong and mentally tough. (When I visit Chiang Mai to fight I also go and clinch with Phetlilaa so she can experience clinch partner variety and grow even more: video.) I watched her give up maybe 10 kgs to a less experienced but very aggressive western fighter, and she also faced my friend Vicky, who is a smaller than Phetlilaa but a tough and experienced fighter – Phetlilaa beat them both. As a Pettonpung fighter she will likely just keep fighting and fighting, taking on all comers, both Thai and westerner alike, increasing in her skill and heart until she is one of the best, if not the best in Thailand. Her growth I believe is made possible through the uniqueness of the Chiang Mai fight scene for women, its blend of western/Thai and Thai/Thai fighting. She stands in interesting contrast to Phetjee Jaa who has not faced any westerners in competition (she has only recently grown to a size where that’s now a more likely possibility) and, while she had outstanding fight experience in the provinces as a 8-11 year old, hasn’t been fighting frequently at all in the last 3 years. Aside from these two rarities of youthful prodigies, the far more common version of the Thai female fighter can be exemplified by the Liangprasert Gym, which stands kind of in the middle ground between the frequent-fighters Pettonpung girls and the sidebet-only fighter Phetjee Jaa. Located in Uttaradit, Liangprasert is in the North of Thailand but is a good 3.5 hour drive up to Chiang Mai. Its plentiful female fighters make frequent commutes to Chiang Mai stadia for fights, to face fighters both from Chiang Mai and neighboring provinces, as the area is the hub of Muay Thai in the North. Liangprasert is an example of very “normal” female Thai fighters in that they are generally starting in their early-teens and becoming well-known in their mid-to-late teens, fighting at least once per month in the stadia of Chiang Mai and picking up fights at festivals around other areas of northern Thailand when the season and opportunities allow it. Their fighters have reputations that they kind of grow into and sometimes back out of, depending on how focused they are on their training. Being around 16 years old is a test for nakmuay, both female and male, when interest in dating and school might take a fighter in a different direction. 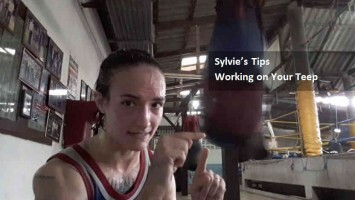 An example of Muay Siam’s weekly female Muay Thai column. 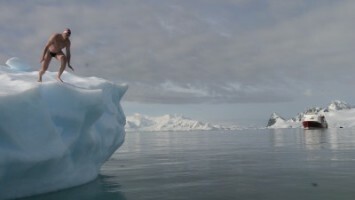 That is Liamprasert Gym on the left. This kind of coverage of Thai female fighters in the North helps create a strong Thai vs Thai scene there. 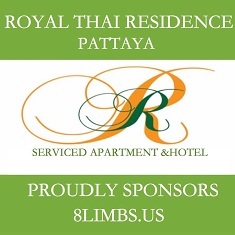 Muay Siam is one of the largest and oldest national Muay Thai news sources. Compared to its competitors, Muay Siam covers female Muay Thai in a very consistent and organized fashion – I read it nearly every day. 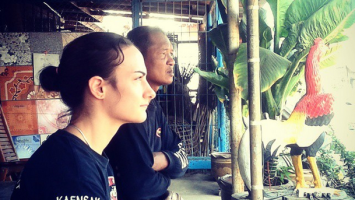 Muay Siam devotes a weekly column to female fighting (above), and has updated news throughout the week. 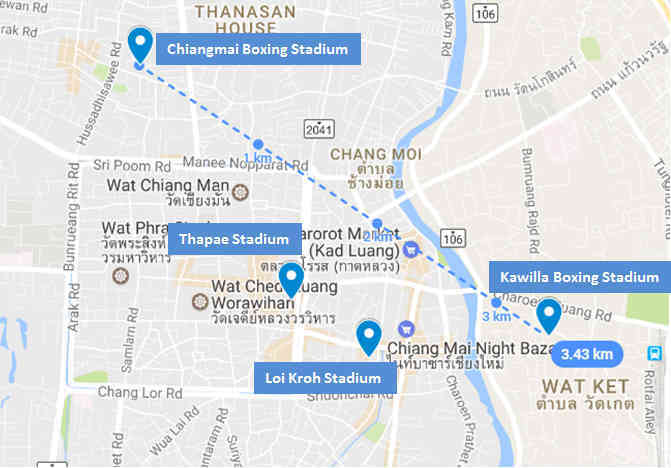 It sticks most closely to the stadium fights around Chiang Mai, to a lessor degree covering fights in Phuket and a bit of the larger stadia in Isaan (centered mainly around the star fighters of those regions). Having a source of national coverage for female fighters means that these young Thai women gain traction in their career arcs, and builds national awareness. Of all the regions Chiang Mai has been predominant in Thai female fighter coverage, due to its many stadia and the strength of its fight scene, and this coverage works to re-enforce the fighting up there, providing a Thai voice and record, creating an identity. 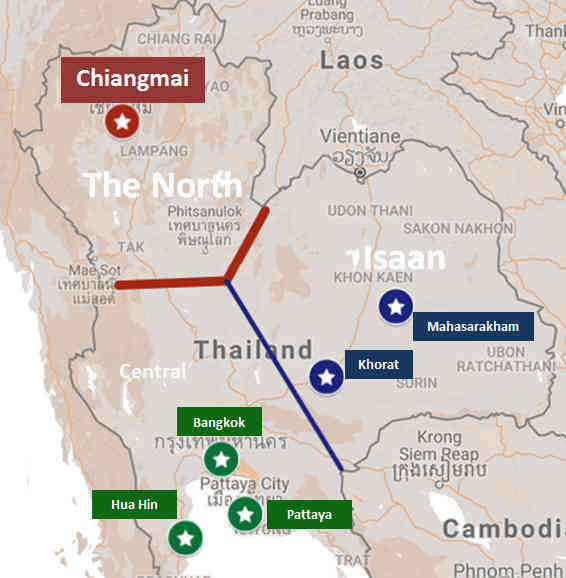 Along with this news coverage the Muay Siam organization also sanctions regional titles, mostly focus in the North. These are Thai-specific female titles, something I realized was exclusively Thai when I won the Muay Siam Northern belt and subsequently had it taken away from me on a technicality (the technicality being that I’m not Thai). These titles seem aimed at structuring and celebrating the growing Thai vs Thai female fight scene in the North. As a reader of Muay Siam I know who the Northern champions are at each weight class, but have no idea who holds those same titles for the Southern, Isaan and Central regions. Or if anyone does, honestly. The promoter at one of the larger Chiang Mai stadia, Thapae, is the president of the Northern chapter of Muay Siam Club, so he is in charge of sanctioning those title fights – which is a huge boon for the local Thai women who are able to fight for them, and then have that reported in the national sports news. 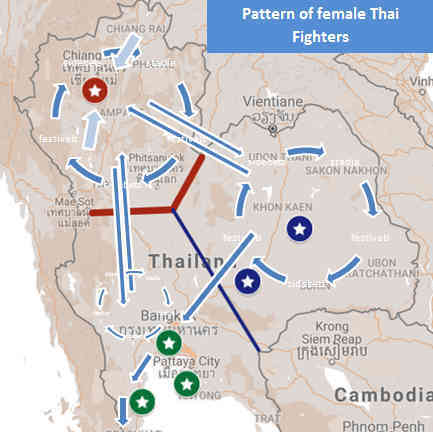 That traction for Thai female fighter’s names and reputations outside of local gambling circuits means greater opportunity for joining the National Team or advancing to fight cards in other areas around the country. All this is to say that one of the reasons that Chiang Mai female fighting is so robust is because of the support it receives from Muay Siam. To sum up: There are a few Thai gyms in Chiang Mai which boast a healthy number of strong female competitors. Pettonpung is a big one and in the last few years has organically developed into an all-female gym. Por. Puipunphuet and Sitdobwad both have a handful of young women who fight regularly and have established good reputations. As explained to me, at around age 13 female Thai fighters make a choice if they are going to attend a Sport School, or fight out of one of these prominent gyms. 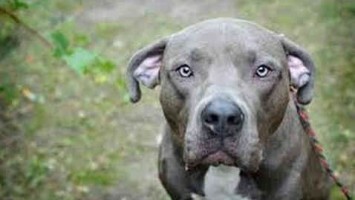 The Gor. Twin Gym in Lampang, which is best known for their star Cherry, was at one point (and perhaps still is) an all-female gym as well, and the largely female gym Liangprasert – located several provinces away – makes the trek go Chiang Mai stadia regularly. It is the mix of Sport School fighters, and female-oriented gyms in the area – and some travel long distances to fight on cards in the city – that makes Chiang Mai female fighting so competitive. Even in the last two or three years since I moved from Chiang Mai I can sense that female fighting in the city has really gone through a growth spurt. See more of Joe and find out about his gym here. As I’ve tried to impress: what’s so important to the robust female fight scene in Chiang Mai is that it’s mostly Thai vs. Thai. All the fighters are in those rings fairly frequently and competing against one another as they grow up and advance in skill, and the older Thai fighters are facing the younger fighters like a forever turning wheel. So when western women come to Chiang Mai and want to fight, they’re stepping into an already-flourishing community of fighters. It’s not primarily there for tourist fighters, as might be the case in heavily touristed areas where many fights may be basically “shows” for the one-off experience of “fighting a Thai,” but rather it’s there regardless and the women who come from abroad to train and fight are welcomed into the fight community for as many fights as they like. You’re not fighting “a Thai,” you’re stepping into an entire female fighting community, though you might not be aware of it. Yes, there may be bogus fights. Yes, the 80% fight phenomena might be in effect. But this is simply the case all over Thailand and you’ll see it in Thai vs Thai match-ups too, and among both men and women. Only the quality of your gym, and the motivation of your opponent can in some degree control these things. 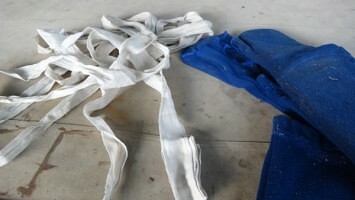 But western vs Thai fighting sits within and connected to the fabric of Thai vs Thai fighting in Chiang Mai. 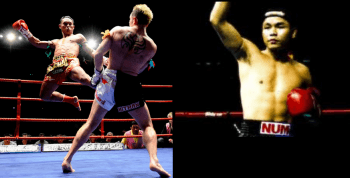 I also stress the healthy attitude toward fighting in the western-friendly gyms in Chiang Mai, which see fighting as part of the learning experience. This is a very Thai attitude and isn’t unique to Chiang Mai by any means, but in contrast to tourist gyms which will get their customers a fight as a one-off experience, or as a “peak” experience or test of skill at the end of a long period of training, the frequency of fight opportunities (which is unique to Chiang Mai, for women especially but for men, too) means that you can more easily step into the “Thai way” of learning Muay, which means that fighting frequently is part of your training, they work together as a cohesive process toward improvement. This is how Thais learn. 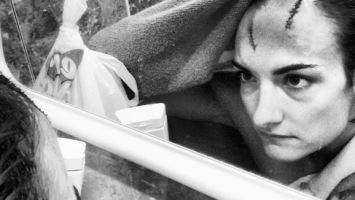 There are many people who fight only one time, usually at the culmination of their training trip. 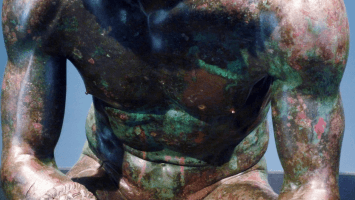 These are sometimes once-in-a-lifetime and very meaningful experiences, so I don’t want to be misunderstood as saying that only fighting once is a worthless endeavor. Not at all. The experience of fighting in the stadia of Chiang Mai can vary greatly, depending on the stadium you fight in, but all are cool in their own way. But as I always say, if you plan to fight once, try to fight twice instead. If you are going to stay 6 months, aim to build up to fight maybe twice a month if you can, if your gym will support you in this. The rewards and benefits are amazing. Each fight is valuable. 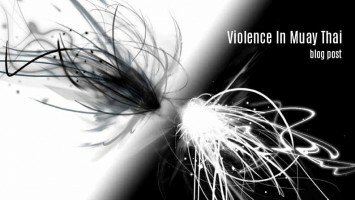 Within 3.5 kilometers there are 4 different stadia that have female fights, more or less nightly. The main stadium for women is Thapae, which features usually 2 female bouts every night on a 7 bout card. They do, occasionally, hold all-female fight cards. The stadium is right at the Thapae Gate in the Old City, which means there’s a lot of foot traffic right out front. But the ring is set back from the road, down an alleyway (entrance) that opens up into a huge space. There are beer bars on either side and tables where you can sit with your drink. A live band plays the traditional fight music and Classic Rock from the 70’s and early 80’s tends to be favored for between rounds. As a westerner you will likely always be walking out to “Final Countdown.” The very back of the stadium is a training gym during the day, so there’s an open space with some heavy bags hanging where all the fighters gather to lay out their mats and warm up. The venue is very lively, full of energy and in the summer can be quite stifling – which I kind of like – as well as the smell of food being cooked wafting through the air from a small, single-burner kitchen across from where fighters gather. There is gambling at this stadium, which you’ll hear when you’re in the ring but not so much anywhere else. Though there is something of a bar atmosphere, this isn’t “bar fighting”. The stadium is well-connected to Muay Siam, and fighters will be weighed, and their weights recorded before fights. In the office you’ll see a big grease board where the coming cards are arranged and hand-written out. Women will also often find themselves at Loi Kroh, which is a less “formal” stadium in the sense that it is a ring set up in the middle of a ring of bars. That’s not entirely different from Thapae’s set up, but Thapae feels like the bars are there for the customers of a Muay Thai show, whereas Loi Kroh feels more like the bars run the show and the Muay Thai is just happening in the middle of it. There isn’t an established space for fighters to warm up, so generally teams lay their mats out in small corners or even inside the bars. 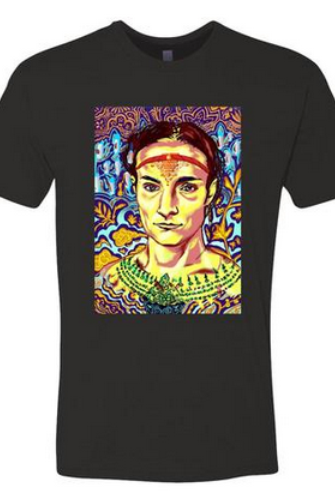 It’s less centralized, so often you don’t see your opponent before your fight. The matchups at Loi Kroh can be a bit more visually odd, like size discrepancies – you get those at all the stadia, but Thapae makes an effort toward even matchups – but you can get both bizarre and exciting fights there. There is almost no gambling at Loi Kroh, which is partly why the fight matchups can be a bit odd, but it also changes the “audience feel” of fighting there. Kawilla (or Gawilla) is a military stadium which used to forbid women from fighting in its ring. Maybe 6 years ago it burned down and since its resurrection in the last 3 years they’ve started allowing women to fight there. This might have something to do with the promoter of another Chiang Mai stadium (Kalare, which is now closed) taking his promotions there and booking the fighters he has known for years. This stadium was called the “Lumpini of the North” back before it burned down, and you can kind of see the resemblance in the high ceilings and rafters, as well as high stadium seating on wooden bleachers. Well, like the Old Lumpini. I’ve never been there when the stadium is full, so I don’t know how often that happens, but generally it’s a huge space with not a lot of people in it and most of the spectators clustered close to the ring. But the acoustics are fantastic, so even with only a hundred people the sound and energy can be very exciting. The fighters have a warm up area behind a cement barrier at this stadium, so it feels a bit more formal. There’s a little bit of gambling, which helps with the crowd noise. The newest stadium is Chiang Mai Boxing Stadium, which Kevin and I call “The Roadhouse,” because of its exterior look. It’s near some hotels and late-night restaurant/bars, but there’s no foot traffic nearby, so it feels a bit isolated. Inside everything is aiming toward a modern style lots of high-tech lights and fresh paint, a metal detector at the door and signs out front which indicate you can’t take your gun in. The promoter from Lumpinee, Giatpetch, is associated with this stadium so there’s some esteem for the reputation there. The fight pay can be better than at the other stadia, depending on the promoter, but they also take a percentage out for taxes, which none of the other stadia do. The fights are more or less the same as the other stadia but occasionally you’ll get a big name off of Channel 7 or someone brought up from Bangkok, which gamblers get excited about. When they first opened the stadium they charged Thais an entrance fee (no other stadium in Chiang Mai charges Thais) and there was outrage; I think they’ve either heavily reduced the cost or done away with it all together in order to encourage gamblers to enter. But there’s not a lot of gambling at the stadium unless big name fighters are on the cards. By my experience mainly tickets are sold through tour groups to Chinese Tourists who are bussed in and often leave after only 3-4 fights. It’s a bit odd, but depending on which fight you are on the card and how much you notice the audience anyway, it doesn’t matter. Outside of these stadia there are also a host of seasonal Festival Fights to fight in in the surrounding provinces. 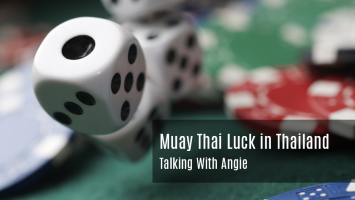 These fights are governed by side-bet gambling, and have almost entirely Thai audiences. 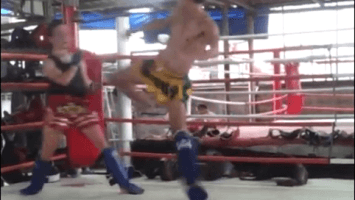 These can be some of the most satisfying (and challenging) fights of your time in Chiang Mai. I’ve always found the festival fights of Northern provinces to not only be well matched (though this may have been because of my gym), but exhilarating immersions into Thai fight culture. In contrast, my experience of Festival Fights in Isaan (North East) has been that, while also wonderfully immersive, matchups can be much less dependable and fair. Chiang Mai exists as a kind of half-way point between Isaan fighting and tourist-oriented fighting. In general in stadia western women will be fighting the local talent in Chiang Mai and surrounding areas. There is a talent pool suitable from absolute beginner all the way up to World Champion fighters, depending on your experience level and size (weight). The ages of these fighters might be anywhere from 15-23 years old. If you’re over 55 kg you could be facing a Thai fighter smaller than yourself but with more experience to balance it out; if you’re around 50 kg (or under) your opponent might be closer to your own size with the experience best suited to match your own. 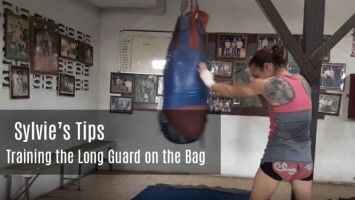 Most female Thai fighters will have maybe 30-70 fights (p.s. don’t believe anyone who tells you the number of fights your opponent has, including your trainer. These numbers usually are way off, both on the low end and on the high end, designed to make you feel a certain way). You won’t get a complete beginner even if it’s your first fight, but they’re interested in making competitive matchups for the most part, so you’ll have a weight advantage if inexperienced. Because the female Muay Thai community is an ever-present and living community, the Thai crowd likely knows your opponent and they’re not interested in watching her get put in a terrible match up for a tourist’s “vacation win.” She might be fighting again soon, so they’re not looking to get hurt unnecessarily (by putting her in a bad matchup), but they also have a local reputation which means they don’t want to lose (meaning it’s generally not a “show fight”). 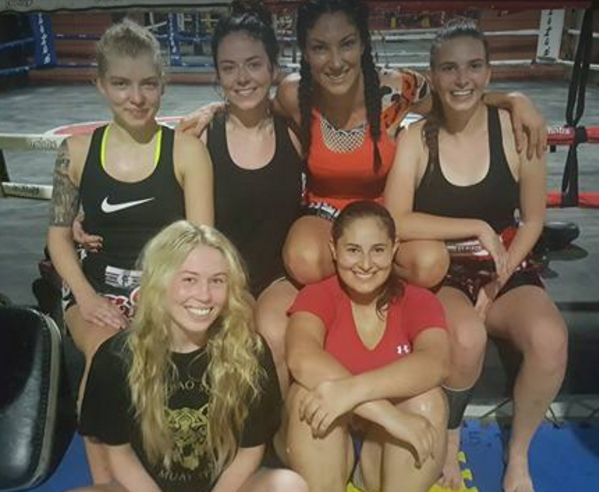 All of this is to say that with a reputable gym you aren’t coming to Chiang Mai as a tourist and “fighting a Thai” as a souvenir; rather, realize that you are joining a community of fighters and by stepping into it, you are actively making that Chiang Mai female fight community stronger. The gamblers and trainers from the other gyms will become familiar with you, they’ll start scouting opponents for you and you as an opponent for the Thai fighters they already know. It’s wonderful, really.